Muktinath Helicopter Tour is the well-known pilgrimage tours in Nepal. This tour is convenient for those whose has the moderate budget and minimum time. You can experience sufficient adventure and fun. 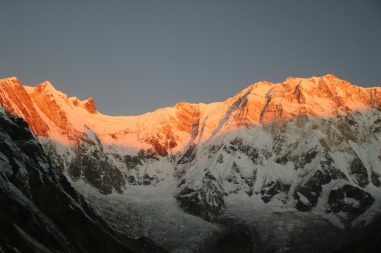 This tour is fit for disabling, older, luxury and exciting person to see a wonderful view of Mountain in Nepal. Then, next day private drive to Nayapul than after walk continues to a final destination. From Muktinath helicopter fly back to Pokhara or Kathmandu-Kathmandu it depends on customers choose. So it is not only pilgrimage tours but also marvelous as well as challenging tour. Muktinath temple is located in the Muktinath valley at 3800 meters. The worship of the holy temple Muktinath and bath on the holy taps and Pool are the ritual parade of the visitors. Then the tours back to Pokhara with the spectacular views of the deepest gorge in the world.The Kali Gandaki gorge and the highest Himalayan pass in the world (Thorong Pass 5416m.) along with Lakes and amazing landscape. It is naturally and ethnically rewarded tour package in the Annapurna region. Hence, this amazing flight will take you to the cold Annapurna region of Muktinath. Thousands of visitors from the diverse countries visit here and pay respect to Lord Vishnu. It is a great example of how two religions can share the same holy spot with mutual respect and support. Muktinath is a focal point of Pilgrimage and frequent trekking route of well-known Thorangla pass (5416m.) in Annapurna region. In fact, this serenity of the place soothes your mind and beckons you into a spiritualistic journey. Especially, our helicopter tour will allow you temple time to take stock of this holy location and its calm and peaceful region. 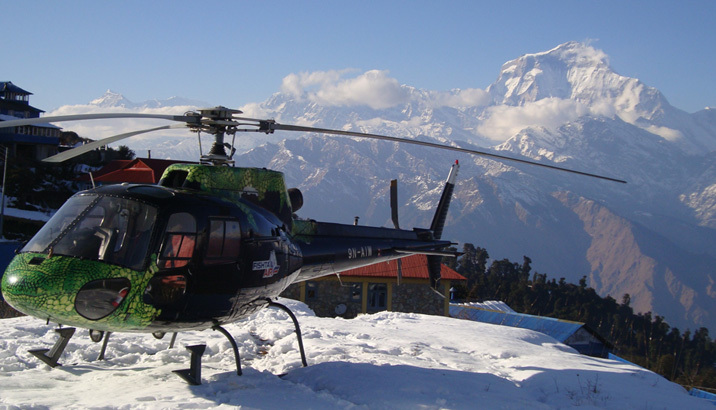 Therefore, Bharal Adventure organizes Muktinath Helicopter Tour assuring you the best hospitality and quality services. We start our drive to Pokhara, the beautiful Lake City that accommodates seven lakes within it including Phewa Lake, Begnas Lake, and Rupa Lake being some. As we arrive at Pokhara, we are rewarded with the majestic views of the Himalayas including Dhaulagiri (8,167m/26,794ft), Manaslu (8,156m/26,759ft), Machhapuchhre (6,993m/22,943ft), the five peaks of Annapurna and others. After taking rest for a while, we will get out on a stroll in the streets of Pokhara and enjoy the rich natural beauty of the city or we could also go for evening boating in the Phewa Lake. This day we will pack up and get ready for our helicopter tour to Muktinath. One of the most popular destinations for Hindus and Buddhists pilgrimage, Muktinath is also considered as “Muktikshetra” by the Hindus, meaning the “place of liberation or salvation”. The water spouts channeled into the stream are considered sacred and the pilgrims. 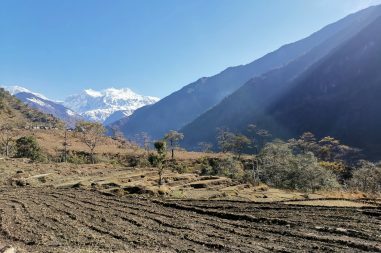 Beautiful sceneray of the Himalayas and the Muktinath could be observed and we will know about the fun we could achieve during the heli tour until we return back to Pokhara. The journey of a lifetime along the Himalayas through helicopter comes to an end on this day. The guests are accompanied to the airport by one of the representatives of Bharal Adventure approximately three hours before their scheduled flight takes off.